The number of children with attention deficit hyperactivity disorder (ADHD) has been rising steadily over the last two decades, prompting concerns about the potential of over-diagnosis. Now, a new report from the Centers for Disease Control and Prevention estimates that one-third of children in the U.S. with ADHD were diagnosed before the age of 6. Overall, the CDC says 9.5 percent of children in the U.S. between the ages of 3-17 have ever gotten a diagnosis of ADHD; that's about 5.9 million kids. For the study, the researchers interviewed almost 3,000 parents of children who'd been diagnosed with ADHD. They learned that the average age at which a child was first diagnosed was 7, but many children were diagnosed even earlier. While the statistics may sound startling, experts say a number of factors are at play. "The increased rate is probably tied to kids getting diagnosed younger," Dr. Michael F. Troy, Medical Director of Behavioral Health Services at Children's Hospitals and Clinics of Minnesota, told CBS News. "In general, there's more awareness of the diagnosis, and once something's accepted as a relatively common diagnosis, it becomes less stigmatized." Troy also said that kids diagnosed younger may represent a group with more severe symptoms; it is also often easier for younger children's symptoms to be picked up outside the home. "The threshold to be dismissed from daycare or preschool is much lower than from elementary school or junior high or high school," he said. "So if you're a parent, and you have a child with highly disregulated behavior for any reason, it's easier for somebody to say that they can't come back to this daycare anymore. And now the parent has a problem that needs to be solved, whereas that wouldn't happen as quickly for a school-aged kid." But in some cases now being labeled ADHD, there may be other factors contributing to a child's behavior. "ADHD is a description of behavior, of how someone presents, not of the etiology [the cause] of it," Troy said. "You could have a severe cough and it could be because of a lot of different reasons. You could have disregulated behavior and have difficulty focusing and concentrating and it could be ADHD or it could be a combination of other conditions." Especially at a young age, these conditions, which Troy said can include "anxiety or other emotional or learning problems, disruption in the early caretaking environment, or a high-risk birth," may be difficult to differentiate. 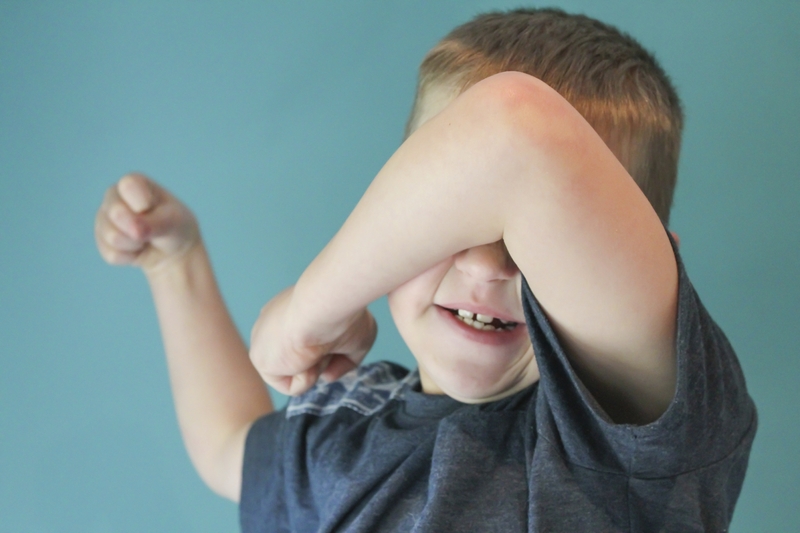 "The behavior that's observed at [age] 5 may not look terribly different across these different things, so the diagnosis of ADHD may be given but it doesn't necessarily tell us why those behaviors are there." Some experts expressed concern that over-diagnosis can lead to more problems down the road. "Over-diagnosis presents a number of problems, including being improperly labeled as ADHD if, in fact, another behavioral or psychiatric problem is the cause of the symptom," Dr. Danelle Fisher, vice chair of pediatrics at Providence Saint John's Health Center in Santa Monica, California, told HealthDay. "This could also lead to overmedication of such children." Experts say this potential for inaccurate or incomplete diagnosis is all the more reason for parents and physicians to be vigilant in monitoring the child's behavior and health and to watch for symptoms of co-occurring conditions. Additionally, the study found that for approximately 1 in 5 children, family members were the only ones who provided information to the doctor during the ADHD assessment. This goes against American Academy of Pediatrics guidelines that recommend information be collected from multiple sources, such as teachers, coaches and other adults involved in the child's care. "It's important whenever possible to get data from a number of informants," Troy said. "It's the best standard of practice to see how other people judge the behavior of the child and how they are doing in different contexts over and against expected developmental norms." He acknowledged, though, that there may be instances where it's so obvious that the child needs intervention based on their behavior that such a thorough process would not be needed. The study authors also found that just over half the children with ADHD were diagnosed by a primary care physician. This finding, Troy said, highlights the need for primary care doctors to have better access to mental health resources. "One thing to take away from this is the importance of integrating and supporting primary care providers with appropriate mental health services," he said. "We all know primary care visits tend to be pretty brief. It's very challenging for primary care providers to do the kind of data collection we discussed. It's something we know in the field and something we're working on, but we need to do a much better job overall."